VIAINVEST is based in Latvia and is operated by the VIA SMS group. VIA SMS has many of the qualities we look for when we assess the companies that stand behind P2P investment sites. They are of a good size, with almost €100 million of loans written in 2017. The group has generated pre-tax profits of around €1.5 million in the last 2 years. It has a diversified funding structure. The bad debts ratio is 6.5% – a fairly low rate for the short term loans that VIA SMS specialises in. We have been testing out VIAINVEST for the last 12 months. Our experience has been good to date. Loans are currently offered from VIA SMS group subsidiaries in Spain, Czech Republic, Latvia and Poland, with rates that are typically 10-12%. There is currently strong demand in particular for the Czech and Latvian loans, and investors will need to create an auto-invest instruction to have a chance of purchasing these loans. One downside we see of investing with VIAINVEST (which we hope they can resolve shortly) is their requirement for investors to provide residence/tax certificates to avoid withholding taxes being levied on interest income. Even with these certificates in place, the interest earned on Polish loans is subject to a 5% withholding (i.e the investor only receives 95% of the interest). This is something that other P2P sites operating in Latvia do not require, and puts them at a slight disadvantage in our view. VIAINVEST claim that they are doing this to comply with the relevant tax laws in each country. However we suspect that it could be possible for the company to make their platform more tax efficient, and find a legal structure that could help to remove these requirements. As mentioned below by CEO Eduards Lapkovskis, new regulations to be introduced later this year could help to provide more clarity around the tax treatment of P2P loans in Europe. Overall, we think the site will be suitable for many European P2P investors, as VIAINVEST is very simple to use, the interest rates available are good, buyback guarantees are provided, the company operating the site is performing well financially and is professional. We think many investors will use VIAINVEST as an additional platform to add to their core P2P European investment portfolio that may be held in Mintos, or other sites, to provide some extra diversification. To visit VIAINVEST, click here. Hi Eduards. VIAINVEST is operated by the Via SMS group. Please tell us a little about the history of Via SMS. Who are the shareholders? Hi there! VIA SMS Group was founded in 2009 with an initial purpose to provide consumer lending services in Europe. Latvia, as a home market of the company, was the first one where VIA SMS Group launched its premier online lending brand VIASMS.lv. This turned out to be a success story, that gave us confidence about entering in other markets. 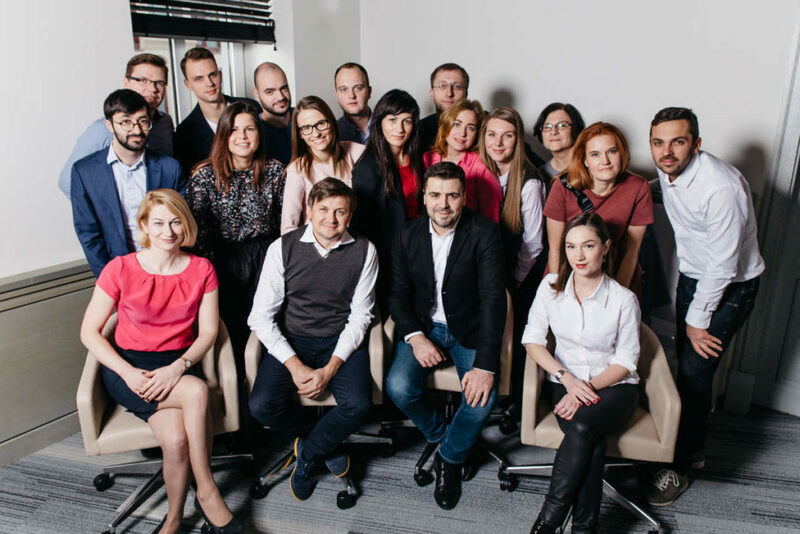 Currently VIA SMS Group has expanded its operations to another 5 countries, including Sweden, Poland, Czech Republic, Romania and Spain, and as consumer lending still remains company’s core business, we have set our goal to become a progressive fintech company that offers a wide range of various alternative financial services. The VIA SMS Group has entered P2P lending with VIAINVEST, offers lucrative savings products in Sweden, has issued a credit card with a credit line – SAVA.card, and as well is taking its first steps towards block chain technology, by offering Bitcoin-secured loans under the brand name CryptoLoan. Last year VIA SMS Group also established a new daughter company – VIA Payments, that has acquired electronic money institution license, and will start providing digital payment services this year. 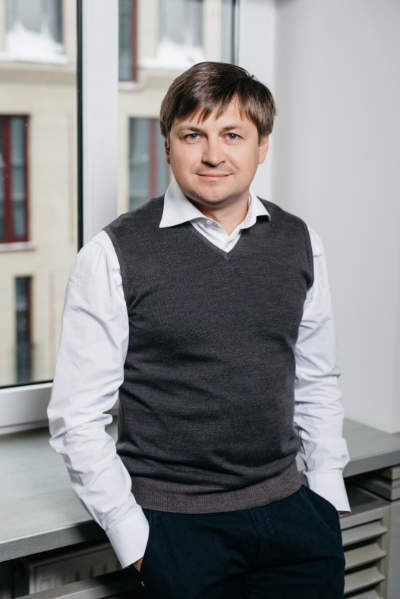 Regarding the company management, one of our main shareholders is Deniss Sherstjukovs, who is actively participating in daily business operations and product development. The Via SMS group seems to be currently performing well and profitable. What’s the financial outlook for the group over the next few years? It is safe to say that company’s management is very satisfied with VIA SMS Group’s performance over the past few years. As our core activity, consumer lending, ensures strong positions in European market, the company can benefit from a growing financial flow, by developing new products and investing in innovations. I believe that the future will be very exciting for fintech companies, as there are so many business fields with undiscovered potential! Looking at the VIAINVEST statistics, it seems there has been limited growth over the last 6 months. Is this due to competition growing for P2P investors, or other factors such as alternative funding sources being more attractive? Competition in P2P market definitely grows, but almost every platform has found its unique selling point, the same as investors have defined their requirements, when choosing their investment destination. Both, consumer lending and P2P investments can be affected by seasonality and other multiple factors. We do, however, observe that demand for VIA SMS Group loans on VIAINVEST is pretty big and sometimes not enough to satisfy all of them, so we are working to add new loan originators shortly. What other types of funding sources does the Via SMS group have, outside of P2P? Our product portfolio includes ViaSpar – a savings product available for both, private individuals and companies in Sweden. VIA SMS Group has also issued company bonds on Nasdaq Baltic stock exchange market in 2014. Nevertheless, consumer lending still remains the core business of ours and ensures the main financial flow. How do you manage your credit risk? What has been the trend in your default rates over the last year? Every sustainable consumer lending company wants to build a high quality portfolio and is always interested in customers paying loans back. VIA SMS Group constantly invests in risk analytics, as we have our own in-house risk analytics team that has developed complicated creditworthiness evaluation algorithms, by taking into account both, requirements defined by the local legislation in target markets, and various internal and external databases. In 2017 the amount of non-performing loans to total portfolio was 6,5%, that indicates high quality of our portfolio in all target countries. How is VIAINVEST trying to differentiate itself from other European P2P sites? Why choose VIAINVEST to invest with? As VIAINVEST only lists loans that are issued by VIA SMS Group, our biggest advantage is that we are always aware of all potential risks and have all the information that may be relevant to our investors. VIAINVEST offers a unique loan portfolio, that is not common on any of other platforms and we care about our investors a lot, so we are striving to ensure a pleasant investing experience. You require your investors to submit tax certificates to receive interest without withholding taxes. Other sites located in your region do not require this. Why are you taking such a different approach to your competitors? Here I would like to emphasize, that, as majority of P2P platform home countries, including Latvia, lacks legislation specifically designed to regulate P2P platforms, companies operate according to their interpretation of existing pieces of legislation that may affect their business operations. As VIAINVEST strives to be in strict compliance with what company’s registration country and loan origin countries impose in their legislations, we have developed our tax policy according to existing requirements, to protect our investors. I believe that it is just a matter of time, when all platforms will be forced to face this challenge, as, for example, in Latvia; the legislation regulating P2P lending must come into force at the end of this year. You are borrowing in euros and lending in some other currencies. Do you hedge this currency risk? All VIA SMS Group subsidiaries internally are financed in EUR and we have developed several internal procedures to mitigate all risks, including risks arising from currency exchange. What interest rates are available on the platform? Do you expect rates to change over the last 12 months? Currently, VIAINVEST lists loans with an interest rate that varies from 10% to 12%. I believe that there will not be significant changes in interest rates, but as general demand for P2P investments is growing, the overall market may react to it in some ways. What’s your view on the regulatory environment in Latvia – do you think platforms like VIAINVEST will become regulated in the future? Will that be a good thing? P2P regulation in Latvia is almost ready and may come into force at the end of this year. As platform representatives were working closely with government to prepare this legislative act project, I believe that the regulation must bring positive changes and define questions that were not clear and certain until now, such as taxation issues, AML requirements, etc. Most important, the development of particular legislation will give more security for investors as will once again prove, that such business is 100% confirmed and regulated by the government. Some lenders have struggled in Spain, what’s been your experience there so far? As Spain is relatively new market for us, it is too early to make any conclusions about business development plans there. From my own perspective I can say that in comparison with Northern Europe countries, Spaniards are not that disciplined in terms of repaying loans as other European countries might be. What plans do you have for the VIAINVEST platform and the Via SMS group? VIAINVEST is operating for almost one and a half years now, but we still have a lot to do, to improve investors experience when cooperating with us. In the nearest future we are planning to update platform search filters, add new loan originators and launch our brand new mobile app. Regarding VIA SMS Group, we are working to ensure that lending services in all countries run smoothly. As for new products, currently we are mostly focused on two major things – CryptoLoan and VIA Payments that has their big moment scheduled for this year.